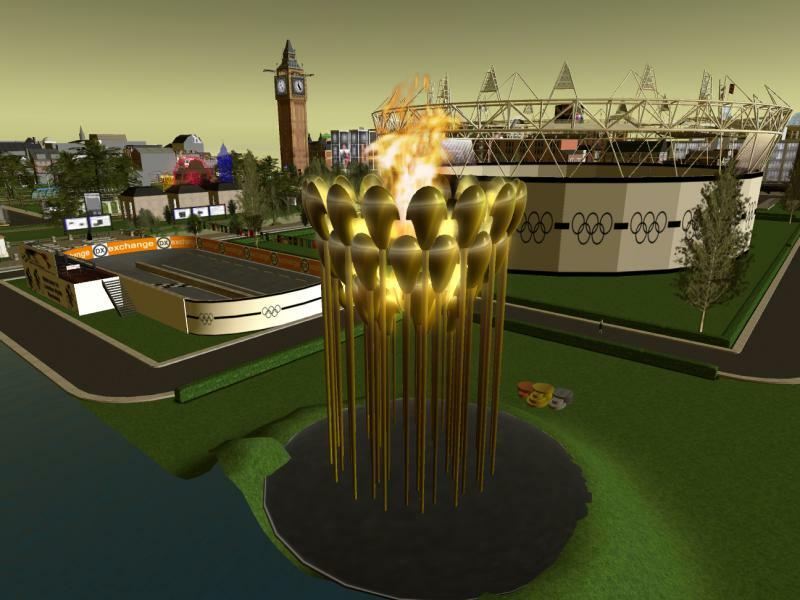 Celebrate London 2012 and the Olympics in Second Life! Launching tomorrow is the new London Olympics site, part of the London UK region owned and managed by Debs Regent and Virtually Linked. 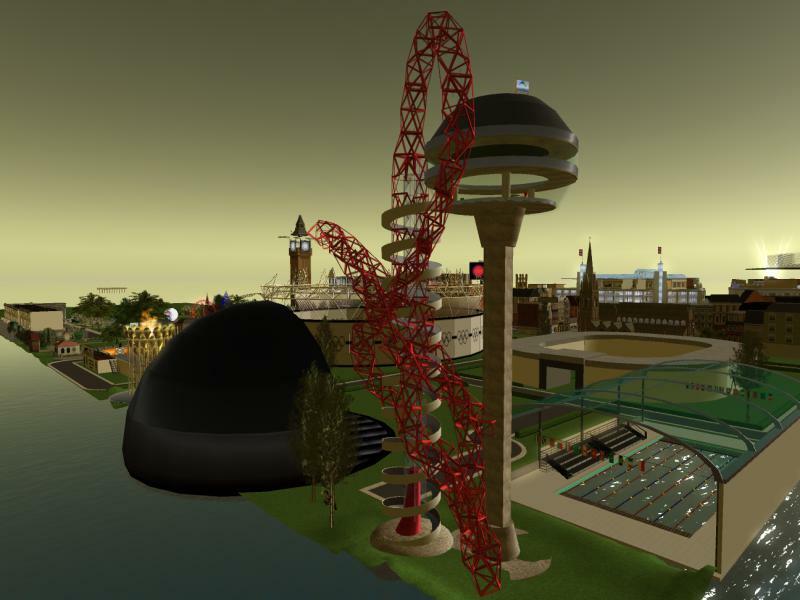 Situated on a new sim – London Community (not yet open), the site features elements of the London Olympic park (such as the amazing Cauldron that holds the Olympic Flame and the stunning Orbit). There’s also a variety of sporting venues too – the main athletics track, a tennis court, a basket ball court, a velodrome (for cycling) and a swimming pool. It’s scheduled to open tomorrow, Friday 3rd August, with a grand party at 8am SLT. In the real world, long term London Sims resident and host for many of the real life London Meet up , Julius Sowu, is working in the Africa Village in Hyde Park, daily streaming live interviews and entertainment online for our diaspora. http://www.africaolympic.org/eng/. And in Second Life Debs and her team are encouraging people to get involved and make use of the new facilities. Next Post: Do you have Summer News for Prim Perfect?